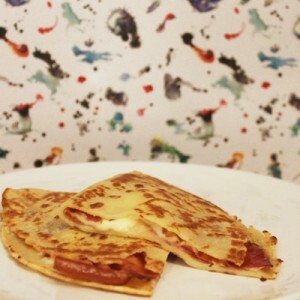 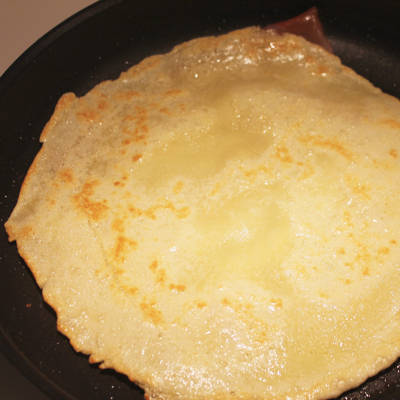 Thicker than a French crepe but thinner than a pancake they are a balance compromise. 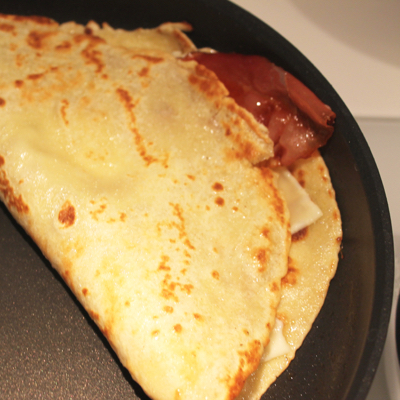 The thing that impressed me the most was that they are served mostly for lunch or dinner (not for brakfast) and very often associated with bacon and cheese (even though syrup and chocolate are also possible). 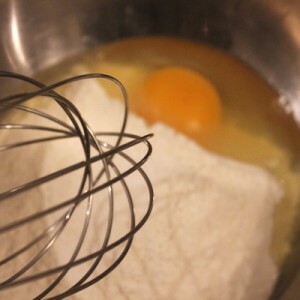 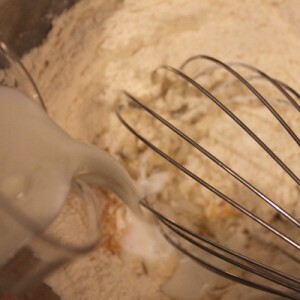 Sieve the flour and put i tinto a container, add the egg, a pinch of salt, and whisk adding gradually the milk. You will have a semi-dens batter. 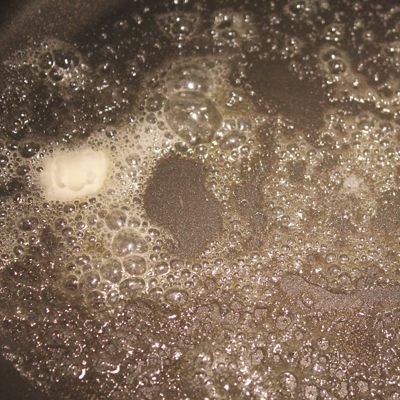 Set aside and rest for 20 minutes at least (ideally for 1 hour). 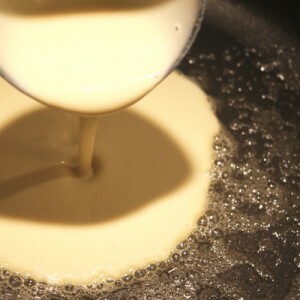 On medium-high heat, melt a teaspoon of butter into a low pan, add a spoonful of batter and spread it evenly on the whole surface by moving the pan. 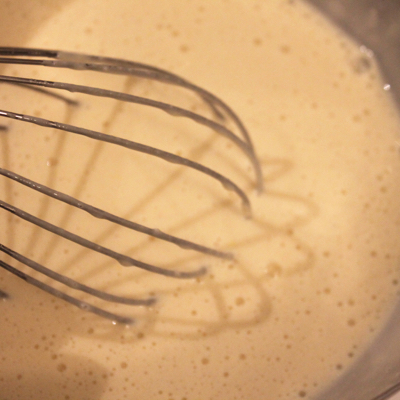 Add the slices of ham or bacon on the batter when it is still liquid. 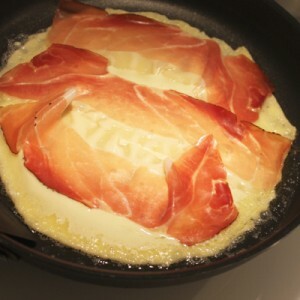 Cook on a side for one minute, then flip it and cook the ham side for 1 further minute. 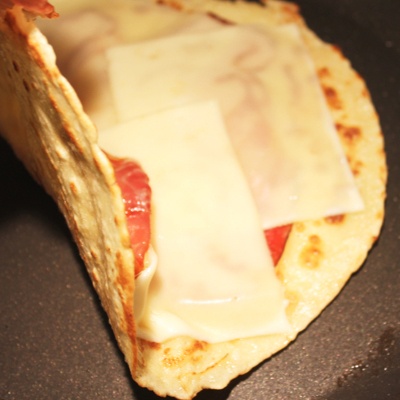 Flip it back again, add the sliced cheese and let it melt down on a medium-low heat for a further minute or until brown. 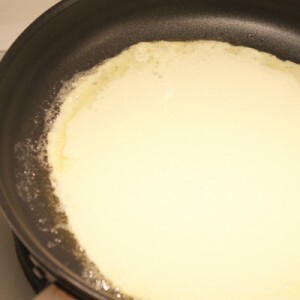 Close the pancake (roll it or just fold it).